Tom is widely regarded as father of the Synthetic Biology field from his work at MIT, which followed seminal work in early networking technology and artificial intelligence at MIT Computer Science and AI Laboratory, a part of the MIT School of Engineering. He has an extraordinary record of serial innovation in different fields, and is orginator of the first widely used standard for DNA parts, and was a driving force behind the start of iGEM and the Registry of Standard parts, an open competition and social network for assembly and sharing of DNA parts. He now runs a prominent synthetic biology start-up in Boston, Ginkgo Bioworks - engineering high value biochemical pathways in microbes. Tom is widely respected as one of the brightest and most original thinkers in the field. He is extremely well connected, and is also very interested in plant work. Christina is one of the few "dyed-in-the-wool" synthetic biologists exploring plant systems, outside OpenPlant. 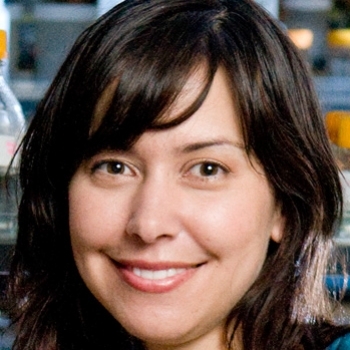 She has a very high profile in the field, with a fast-track career at Berkeley-Caltech-Stanford - working on the engineering of RNA-based control mechanisms and natural product biosynthesis. She’s been president of the Society for Biological Engineering, and has string of awards to her name: NIH Director's Pioneer Award, National Institutes of Health (2012), World Technology Award in Biotechnology (Individual), World Technology Network (2009), Alfred P. Sloan Foundation Fellow, Alfred P. Sloan Foundation (2008), National Science Foundation CAREER Award, National Science Foundation (2006), Beckman Young Investigator Award, Arnold and Mabel Beckman Foundation (2005), and TR35 Top 35 Young Innovators of the World, Technology Review (2004). Drew is known as an evangelist for synthetic biology. As well as his scientific work at MIT and Stanford, Drew has provided early leadership and support for many open biotechnology programs. He was the co-founder of the iGEM competition, OpenWetWare.org, a resource for sharing lab methods and results, and Biofab, a public-domain factory for engineering high-quality standard biological parts. Drew is founder and President of the BioBricks Foundation, which supports an open technical standards and distribution of synthetic biology parts and reagents, and have developed the BioBrick Public Agreement (BPA) as a legal contract for making genetic materials free to share and use. He has worked with Congress, the White House, DARPA, OECD, the National Academy, etc. on policy matters. Drew is a “big ideas” person. His track record in promoting successful international open science initiatives in synthetic biology is second to none, and he would contribute strongly to responsible innovation, and the “open” in OpenPlant. David directs the Science and Technology Innovation Program (STIP) at the Woodrow Wilson Center in Washington DC, including synthetic biology (www.synbioproject.org). The STIP focuses on emerging technologies and the critical choices innovation presents to public policy. He has graduate degrees in public administration and environmental design from Harvard University and Yale University and a degree in industrial design from the Rhode Island School of Design. He has worked in the public and non-profit sector in Germany and the US. He founded and co-directed a non-profit involved in renewable energy technologies, was head of the Future Studies Unit at the US Environmental Protection Agency, and worked at the White House Council on Environmental Quality (CEQ) and the Office of Science and Technology (OSTP) on a variety of technology, R&D, and policy initiatives. David sits on the advisory boards of a number of organizations, including the Board on Global Science and Technology of the National Academy of Sciences, the expert panel advising DARPA’s ‘Living Foundries’ Program, NSF’s Advisory Committee on Environmental Research and Education; the NSF-funded Synthetic Biology Engineering Research Center (SynBERC); the external science advisory committee of the Center for Environmental Implications of Nanotechnology, the Committee on Science, Engineering and Public Policy of the American Association for the Advancement of Science (AAAS); the Center for Environmental Policy at American University; the National Council of Advisors for the Center for the Study of the Presidency; the Journal of Industrial Ecology; and Games for Change. He (and Drew Endy) provide excellent oversight and advice on the responsible innovation and societal aspects of the OpenPlant initiative. François is a noted leader in the Synthetic Biology field in Europe. He studies and engineers genome architecture. For this purpose he uses various approaches including bioinformatics and molecular, systems and synthetic biology. François Képès is a Research Director at CNRS. He is the Founding director of the Epigenomics Project (Genopole), an Institute of Complex Studies that is dedicated to the emerging disciplines of Systems and Synthetic Biology. He is a Team Leader at the institute of Systems and Synthetic Biology (Genopole, CNRS, UEVE). He is a permanent Invited Professor at Imperial College London. He is a member of the National Academy of Technologies of France. François Képès is the author of over 100 scientific publications and the editor or author of 16 books and of 10 book chapters. He has organized or chaired numerous international and national scientific events, including many in Synthetic Biology since 2005, and he is currently a partner, PI or co-PI in six funded Projects, including four European ones. Dr. Képès serves as the editor of four international journals, as a referee for 19 others, and as an expert advisor for European, North- and South-American and Middle-East funding agencies. He acted as the team leader of the first French iGEM team, that was finalist and won the first prize of foundational research at MIT in 2007. Tim is an experienced technology venture entrepreneur with an R&D background in both the physical and life sciences. Before joining Synthace he spent 7 years as Chief Operating Officer of CellCentric, a leading epigenetics drug discovery company. Prior to that he was Chief Technology Officer of Arrow Therapeutics and was co-founder and General Manager of DNA microarray tools company Oxford Gene Technology (Operations). Before entering the commercial world Tim spent 13 years performing highly interdisciplinary research at the University of Oxford holding post-doctoral positions in three different departments (Biochemistry, Engineering and Materials). He has a D.Phil in Semiconductor Materials and an MBA from London Business School. Tim is the Chairman of the UK BioIndustry Association’s Synthetic Biology Advisory Committee and also a member of the Synthetic Biology Leadership Council. Susan Rosser is a Professor and PI of the SynthSys-Mammalian: Edinburgh Mammalian Synthetic Biology Research Centre. Susan studied microbiology and genetics at the university of Dundee before a PhD working on the mechanisms of multiple antibiotic resistance. Susan then moved to the Institute of Biotechnology at the University of Cambridge to work on biotransformations of cocaine and high explosives. She then became a lecturer in biotechnology at the University of Glasgow before being promoted to Professor in 2012, followed by a Chair in Synthetic Biology at the University of Cambridge. She is the programme coordinator and PI of a large transatlantic synthetic biology project co-funded by the EPSRC and NSF which aims to develop synthetic biology tools for rapid generation, evolution and optimisation of genetic circuits and metabolic pathways. Her synthetic biology research interests focus on developing tools for rapid pathway assembly and modification, microbial fuel cells, logic gates and biocomputing, and tools for rapid industrial strain improvement. Director at the British Standards Institution (BSI), where he is responsible for the work of the UK National Standards Body, representing the UK internationally and for advising industry and government on the role of standardization in the economy. Prior to joining BSI in January 2012, Scott spent around twenty years working on major infrastructure and building projects in the UK and around the world for consulting and contracting companies, including GIBB, Whitbybird, High-Point Rendel and Foster Wheeler Energy. Formerly a lecturer at Cambridge University, he has specialised in natural disasters, forensic engineering, risk and innovation strategy. He was an independent member of the Defence Scientific Advisory Council (DSAC) for six years, authoring several reports on the management of safety and risk on MOD platforms. An engineer by background, Scott chaired the European Council for Construction, Research and Innovation for over a decade and is a former Vice President of the Royal Academy of Engineering. He continues to act as a non-executive Director at the Port of London Authority and as Editor-in-Chief of the Royal Academy of Engineering’s flagship magazine, Ingenia.